There's nothing wrong with a bit of patriotism - and the Geneva Motor Show gave us plenty of cause to celebrate the car industry of the UK. We've looked at some of the best of British to appear at show - click through the gallery below to see out picks. 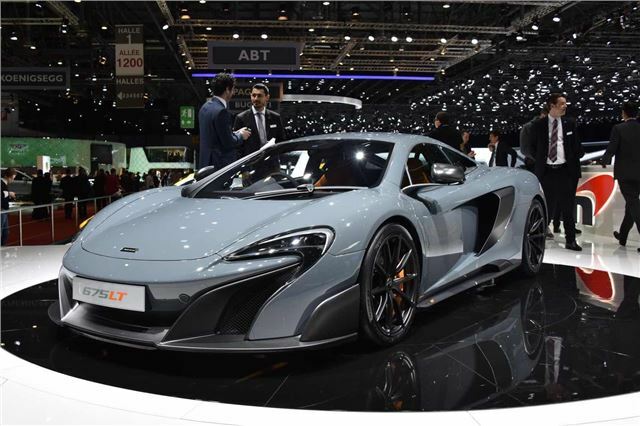 The McLaren 675 LT is designed for the track. Although it’s road legal, the track bias means that compared to the 650 S on which it’s based, it’s 100kg lighter, 25PS more powerful (675PS), and therefore quicker (2.9 seconds to 62mph). More than that, though, it’s had such a comprehensive rework (suspension, engine, transmission, chassis, aerodynamics) that McLaren says it’s in another league altogether to the base car. That’s where your extra £65,000 is going: this costs £260,000.